Well, much time has passed since I last posted here. It’s been a blur of taking more time for myself including several trips, reinitiating my relationship with Nothusband, and job hunting for a new role. Suddenly, though I find myself facing the complicated question of what to do about Christmas for Mom. And for me. Thanksgiving was both easy and hard. It was hard to accept that holidays are simply going to look different from here on out. But it was easy to find a way to be together. Sis, Nothusband and I cooked and brought her a plate of food and a bunch of fall flowers. I bundled Mom up for a walk together. But Christmas is a whole other story. Just four years ago, Mom would decorate a house full of Christmas trees, throw a couple of parties, shop for towers of Christmas gifts and do enough baking to give most of her acquaintances a box of cookies. She loves Christmas. So the other night after work, Sis and I trekked up to the facility with an artificial tree, nonbreakable ornaments, and a box of other decorations. It was a happy evening though I could not help but feel the difference for Mom as I hung every ornament on her tree. But Mom was delighted. I think of her comment to me years ago, when I asked why she put so much work into Christmas decorations. Tags: changes, Christmas, facility | Permalink. We do the best that we can. This year mom is living in my home. I am doing Christmas for her, and doing all the things that she would like to do but can’t. But at times feel anxious because I have never been one to do Christmas in a big way. It can feel too much. Try not to feel guilty. As I said, we do the best we can. So good to hear from you. What a beautiful tree and a lovely post. 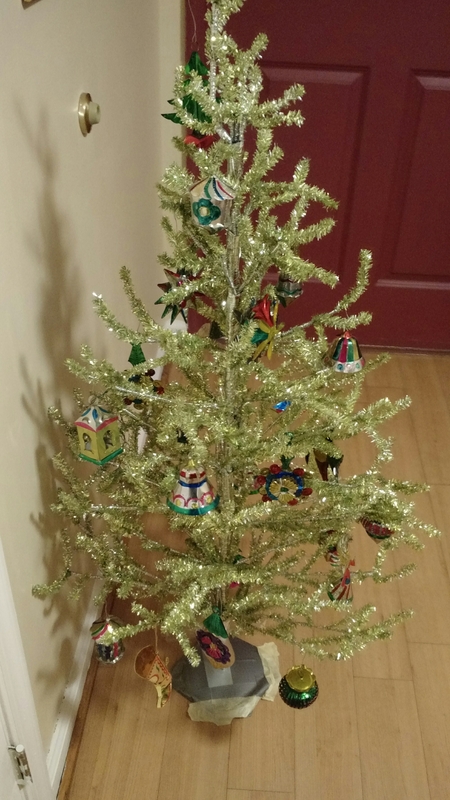 I kept my mom’s tree up for awhile, she loved it. I can relate to so much of this. I hope you have a nice holiday.